On Wings of Eagles: The Puzzle Pieces of Faith. Jigsaw puzzles aren't my forte. Trying to arrange 500 small pieces of cardboard into what it originally was isn't my idea of a fun day. My wife can sit for hours poring over the tiny pieces until they completed the project. Assembling the border is typically easy, but finding the missing pieces that make up the center can be challenging. Paul was thrilled the believers in Thessalonica were growing in their relationship with Christ, but he knew there were more pieces of their faith puzzle to assemble. "Night and day we pray most earnestly that we may see you again and supply what is lacking in your faith" (I Thessalonians 3:10). Going through the motions of religious traditions can disguise the missing pieces of our spiritual journey. A rich young ruler once approached Jesus asking what he must do to inherit eternal life. Jesus rattled off a few of the commandments. He claimed to have obeyed them but still felt something was missing. Jesus told him to sell everything he had. His wealth wasn't wrong; it simply disguised the missing piece of his faith journey. Nurturing our relationship with Jesus Christ is the missing piece. Having the relationship isn't all God wants for us. Like Paul, he wants our faith to grow so we can enjoy "on cloud nine" living. When we nurture our relationship through consistent prayer, Bible study, sharing our faith and spending time with other believers, the pressures and frustrations of life won't get us down. Rather, we'll rise to the top and soar through and above difficulties. 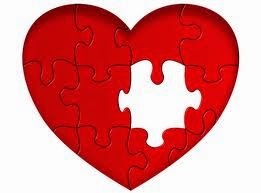 Where's the missing piece in your faith puzzle? Dear Lord, show us what's missing in our puzzle of faith today. Help us seek Your word that we may complete the puzzle and be a shining example to those around us. In Jesus’ Name, Amen.